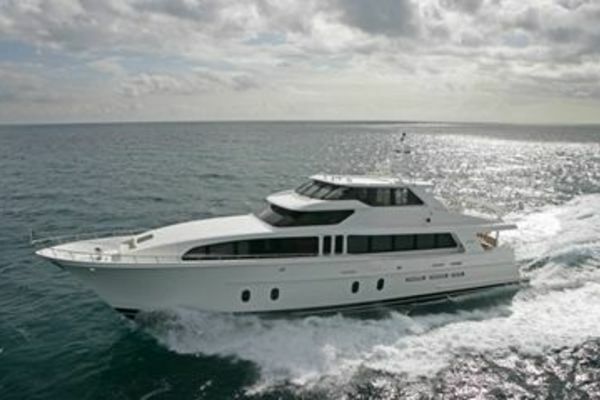 United Yacht Sales New Jersey would love to guide you through a personal showing of this 102' Oceanfast 1989. 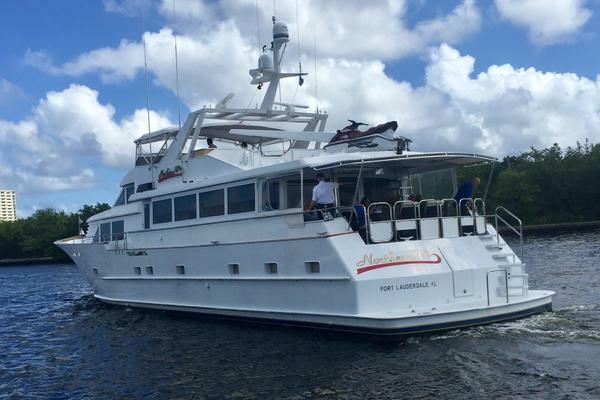 This yacht for sale is located in Unknown, Florida and priced at $1,995,000. For a showing please contact us by filling out the form on this page and we will get back to you shortly! Built in Australia by Oceanfast, with an interior styled by legendary designer Jon Bannenberg, the 102’ (31.08m) motor yacht AP has been maintained in excellent condition since new. With accommodations for 6 guests in 3 timelessly styled staterooms, she features a lavish, on deck master suite and 2 twin guest staterooms. Her ultra-modern interior displays a circular theme, with bright white and light blue hues throughout the main salon. A large, round, and very plush sofa sits at its center, while a bar with seating, and a games table are close by. Exterior decks are open, with comfortable outdoor seating on the flybridge deck, as well as the main deck aft. 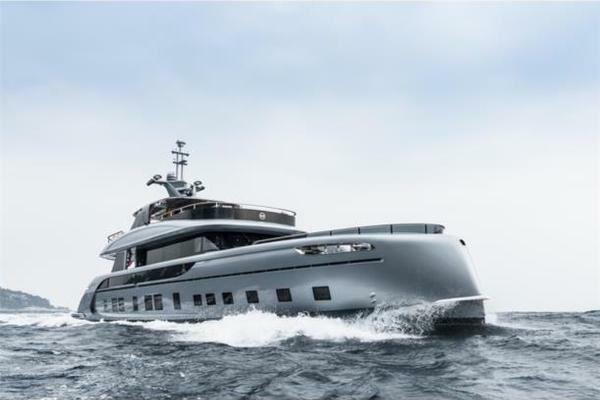 With an aluminum hull, and composite superstructure, she is noted by her shallow draft of 3.3’ (1m), which allows for coastal cruising as well as entering shallower waters such as the Bahamas. Re-powered in 2012 with twin MTU 12V2000 engines, combined with KaMeWa jet drives, she offers a maximum speed of 27.5 knots, and a cruising speed of 22 knots.